Giddy Up! Your child will love gliding through the air as they soar to new heights with this swing set glider. Also called a double glider swing, this is one of the most unique accessories that we offer. Children can work together and share the excitement as they swing all day long. If your child likes to spend time with their friends, this 2-person swing set glider will be an excellent addition to any play set. Make sure you invite their friends as there is room for two! With a four point safety harness, your chilld will always be secure throughout their journey. 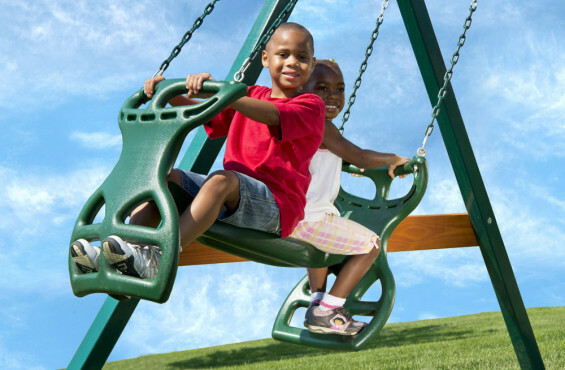 The swing set glider is made with strong, durable plastic so you can be rest assured it will last for many years. 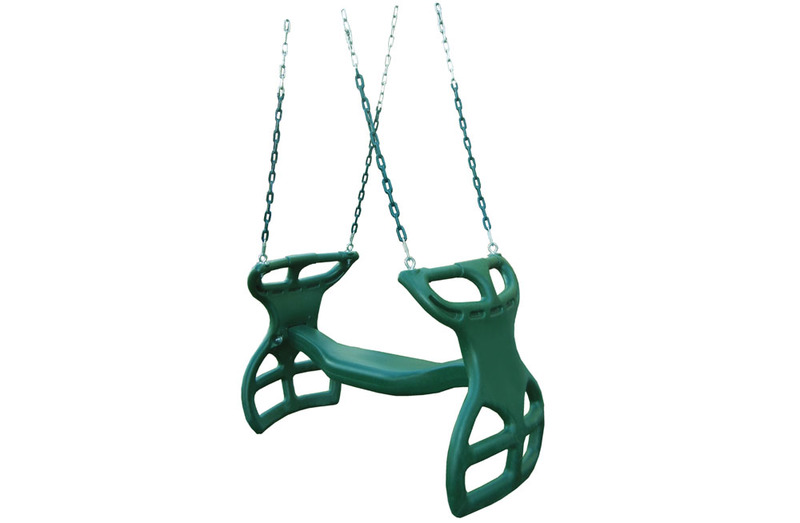 In addition, the plastisol coated chains give kids an pinch-free grip during play. As an active ASTM safety member, you can rest assured knowing our products have been throughly tested to protect parents most prized possession - children. This two person glider can be installed in place of most belt swing attachment areas. In fact, it can be installed in a matter of minutes thanks to the quick clips. Your children will be gliding through the air in no time! Measurements: 18" x 25" x 40"